Pastor Bartholomew Orr of Brown Baptist Church, Memphis gave members of his congregation the surprise of their lives when he entered into the church building flying on a zip line. The entrance which was perfectly inline with the message of the day “Jesus’ return” has generated a lot of reactions on social media. 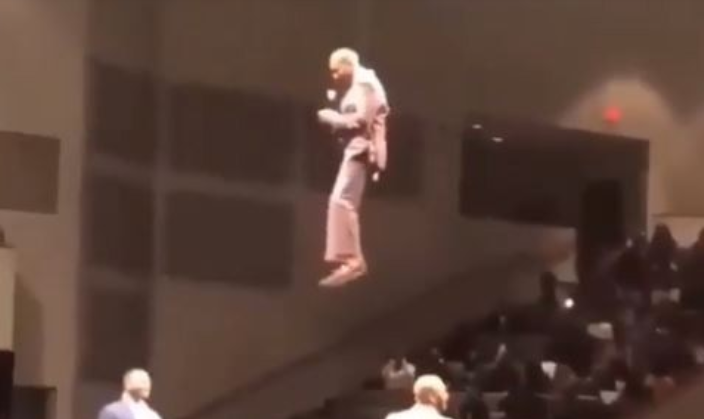 Pastor Orr is now being dubbed “The Flying Preacher” after the video went viral on social media.